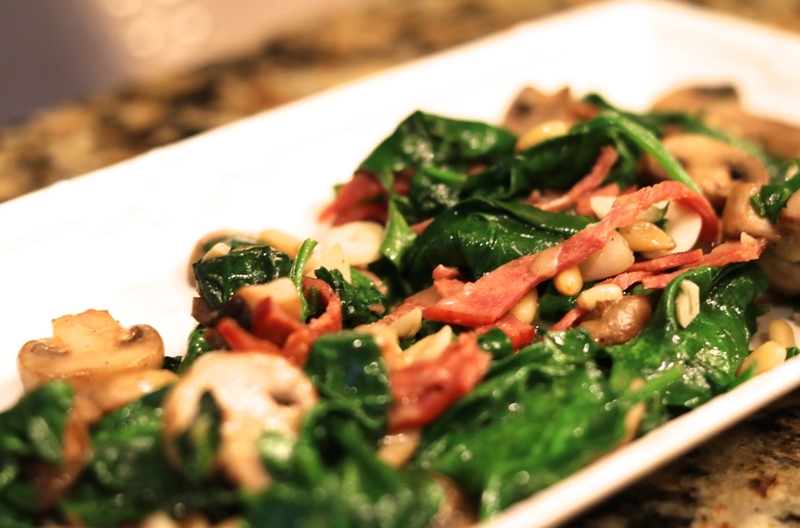 Sautéed Spinach With All the Goods! First, fry up turkey bacon until crisp. 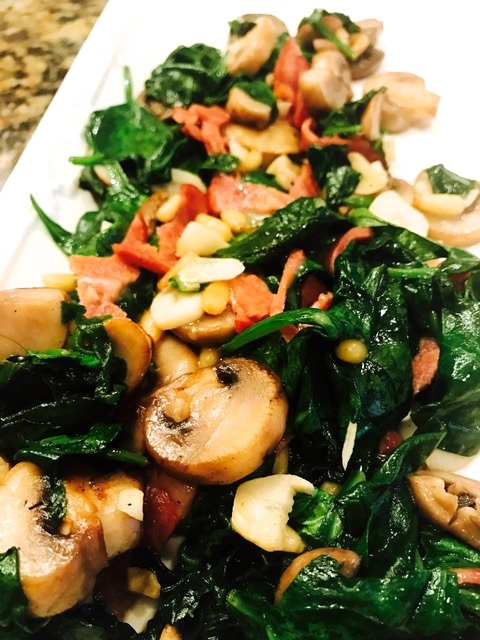 Place butter in pan and sauté garlic and mushrooms until brown. Add pine nuts and cook until brown as well. Add Spinach to pan, making sure enough butter is in the pan to sauté. Sprinkle with cheese if desired… and enjoy! Made this last night. Absolutely delicious! Lots of flavor and easy to make. Will be adding it to my repertoire. GREAT!! So glad you loved it!